Ace Filmmaker Rajkumar Hirani calls 'Tumbbad' a rollercoaster ride! Actor Sohum Shah is currently riding high on success and is getting rave reviews for his critically acclaimed film 'Tumbbad'. The talented actor has put in tremendous efforts for the film for six years and we can definitely say that Sohum's hard work has paid off well. Not only the audience even the critics are hailing the film. The film has received immense praise from Bollywood celebrities and also from celebrated filmmaker Rajkumar Hirani. Rajkumar Hirani took to his twitter handle and wrote,"#Tumbbad is a visually dazzling & amazing original film. A rollercoaster ride that will keep you on the edge of your seat. It must be enjoyed only on a big screen. @s0humshah". Rajkumar Hirani had seen Tumbbad some months back, Interestingly Rajkumar Hirani who is usually not very active on social media platforms took to his twitter handle and praised Tumbbad. And not just once, but now he has posted a message with an appreciation for the film even after its release. Recently actors like Shah Rukh Khan, Hrithik Roshan, Rajkummar Rao, Arjun Kapoor, Sonakshi Sinha and Tiger Shroff too have showered their love on Sohum's Tumbbad. Even one of the most celebrated filmmakers, Imtiaz Ali enthusiastically described the film as "a brilliant, enjoyable film. Never seen anything like this before." Interestingly, when Sohum showed the film to Aanand L Rai, he almost immediately came on board to present the film, describing it as a genre-defining one which will dazzle the audience and give one an unmissable theatrical experience. 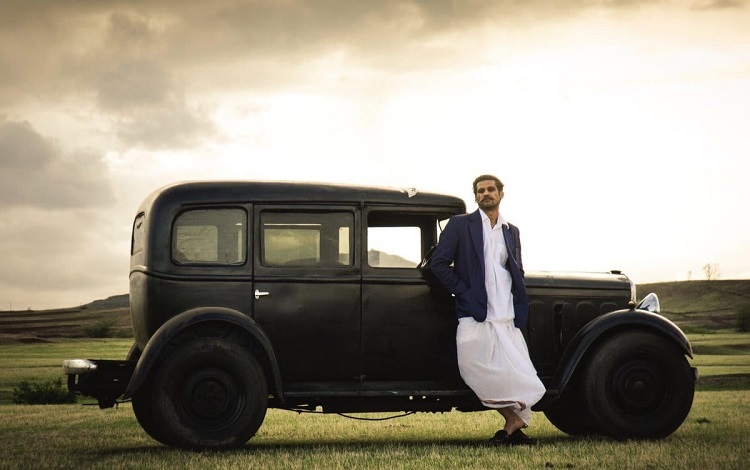 Tumbbad has become a rage amongst the audience who have been posting on social media about how the film's production and VFX quality is even better than some of the Hollywood productions. The comments from the audience are ranging from Tumbbad being called one of the greatest films ever made to a film that will be remembered and loved for a very long time. Tumbbad is an Eros International and Aanand L Rai's presentation and a Sohum Shah Films in association with Colour a Yellow Productions. Co-produced by Filmi Vst and Filmgate Films. Tumbbad is successfully running across theaters since 12th October 2018.